I know that there is an animal inside of you, so if you would want to let it out, what do you do? Of course, you can always let the baser instincts loose, but that might be more detrimental to your permanent relationships in life such as your marriage than you could ever imagine. Perhaps roleplaying might be a better idea, and if you ever wished that you were a lycanthrope, then picking up the $39.99 Wolf Mask might be a good idea after all. 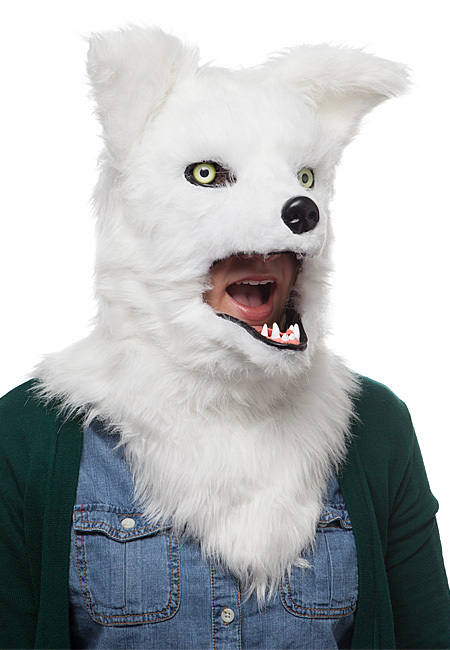 Wearing this mask might actually strike fear into those who gaze in your direction, and it is perfect for those moments when you feel like a wolf. It is made out of soft, plush, faux fur, and sports mesh eyes in addition to a movable jaw. You ought to provide the spit and drool yourself though, and do work on that growl!